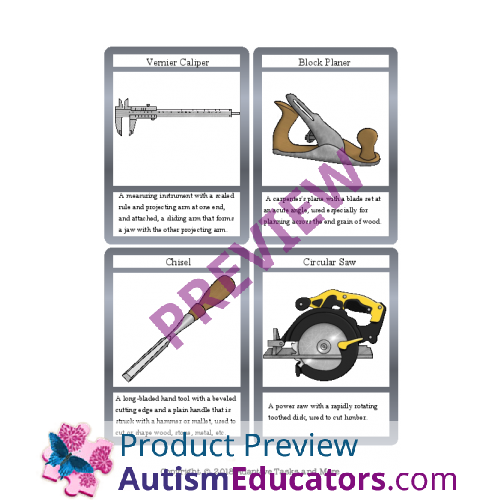 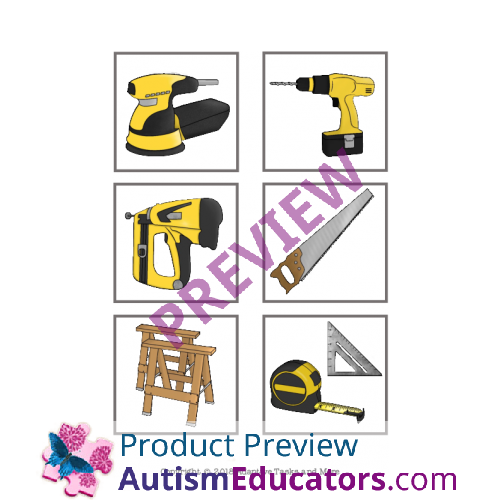 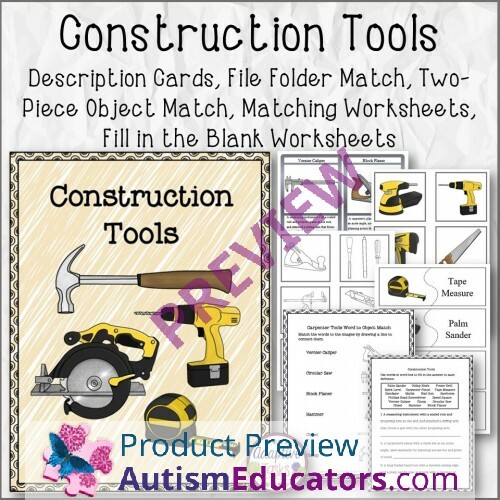 This product works well to introduce students to the construction occupation and by becoming familiar with tools used for both the job and personal home maintenance. 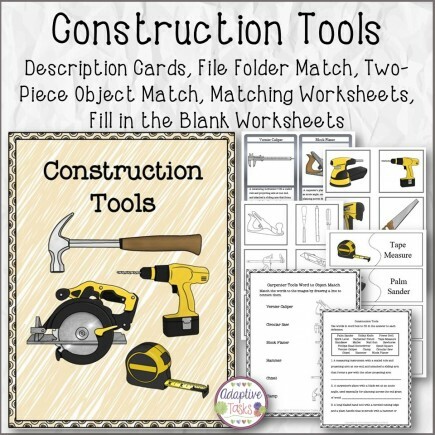 Also great for students in construction trade mainstream vocational class. 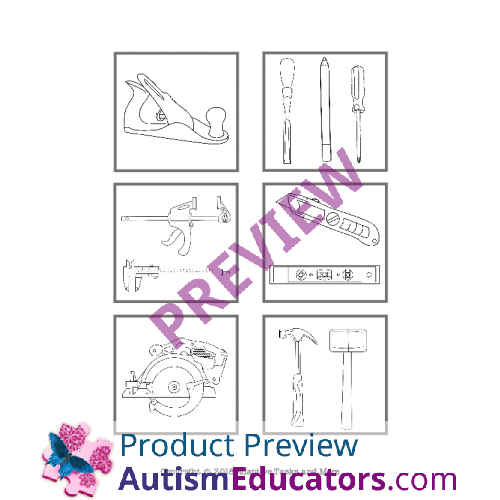 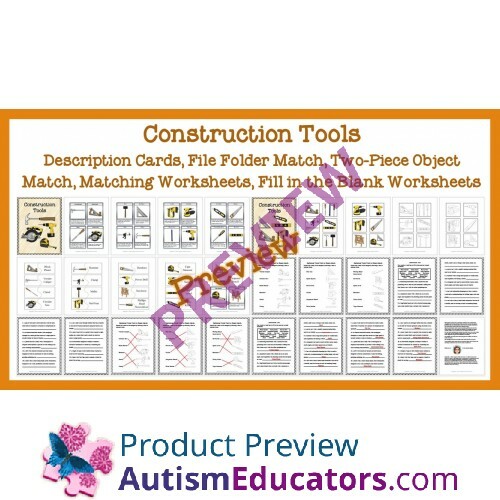 Included is 18 object description cards, 1 file folder of the 18 objects for matching black line to color, 18-2 piece name to object match-ups, name to object matching worksheets and fill in the blank worksheets with a word bank. 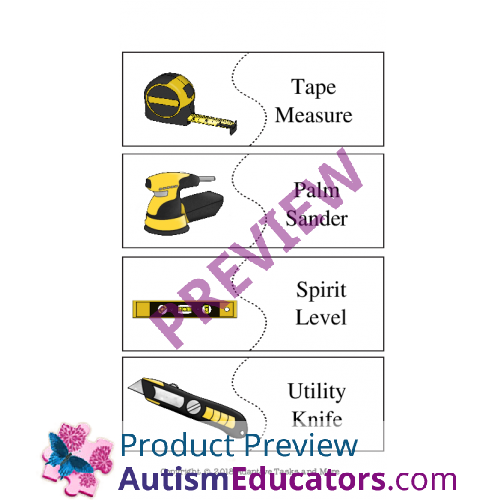 Make sure and look at preview to see more product detail. 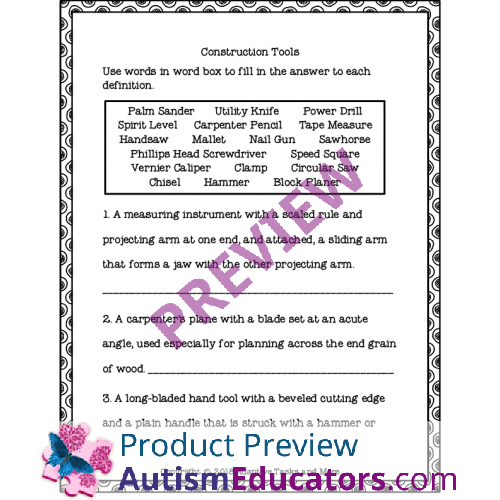 Given pictures to match, words to define or label, related to an occupation (ex.construction worker), STUDENT will complete the activities within a designated amount of time (ex. 15 minutes/30 minutes), with 80% accuracy, in 4 out of 5 opportunities, by MONTH, YEAR.